September is the Time to Host! With summer coming to an end, many of us are trying to get everything in order before the new season comes! I’m excited about my hectic summer coming to an end and getting back into the routine of things. With the kids going back to school, sports starting up again, and fall festivities on the way, it feels refreshing to kick it off with a clean house. 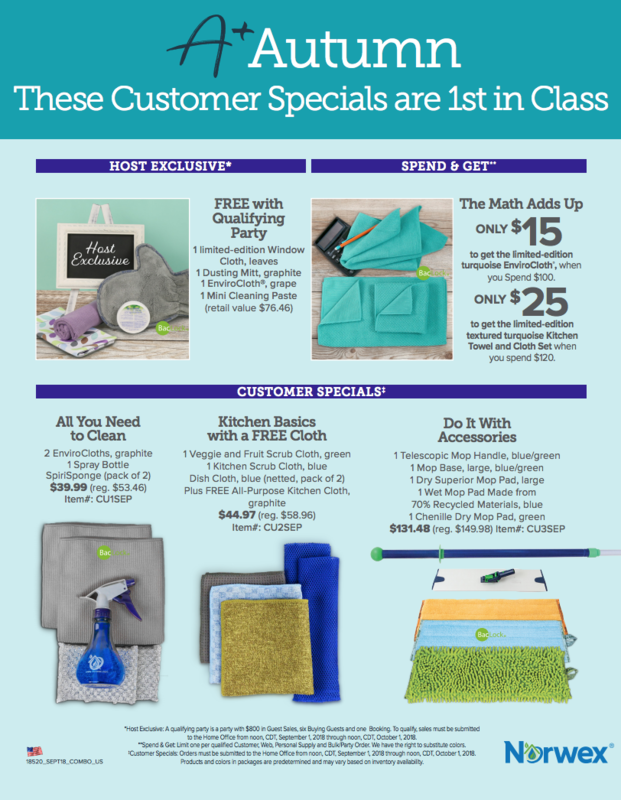 Fall cleaning is something almost every household takes apart in, and luckily Norwex is offering just the right host specials to make it all worth it! This month Hosts get a FREE Window Cloth with each Party Booking and FREE products with each Buying Guest. Just for hosting the party you will be rewarded instantly, with more rewards along the way! The Window Cloth is a must-have Norwex product, and it has completely changed the game for keeping your windows clean. Imagine all of the toxic chemicals you can keep off of the glass at your homes! It doesn’t stop there, you also can earn many more fun products to make your home cleaner and healthier! 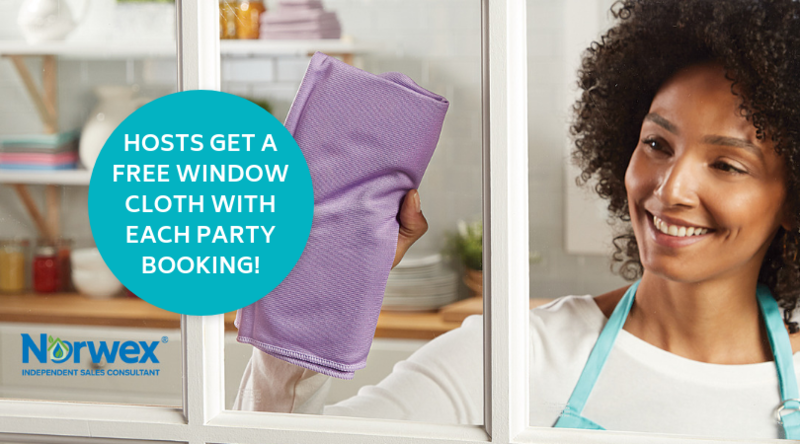 As a host, you can earn a limited-edition leaf print Window Cloth, a graphite Dusting Mitt, a limited-edition grape EnviroCloth®, and a Mini Cleaning Paste for FREE with any qualifying party! All of these products are great to have around the house and will enhance your cleaning experience. With all of these products, all you’ll ever need is water to have clean results! There are also some great customer specials available this month for all of your guests to take advantage of, making it even easier for you to earn more free product! Have you thought about hosting your very own Norwex party? Contact me to get started! Want the latest news and tips and also updates on all the great Norwex products? Join my mailing list! Tidy Tuesday One Day Sale! Host a Norwex party, and stock up on all the cleaning basics. At NewWayToClean.com, we respect your privacy and do not collect any personal information with the exception of your name and email address if you provide it via the contact form. This information will be used solely for sales, email marketing and/or recruitment purpose. We use MailChimp for our email marketing and Google Apps for our digital services. Each employs industry-standard security to keep all information safe. We won't ever sell it to third parties. If you have any questions, comments or concerns about this policy, please don't hesitate to contact Pam through the contact form.